At the click of a button get all your website SEO data crawled, stored, and accessible in one place it’s as simple as that. Extract, search, and analyze website content, source code, page status, common errors, security concerns and virtually anything else you can think of. It's all in the cloud. Sign up and see why thousands have used CrawlMonster to analyze and optimize their website. We tried to think of everything. 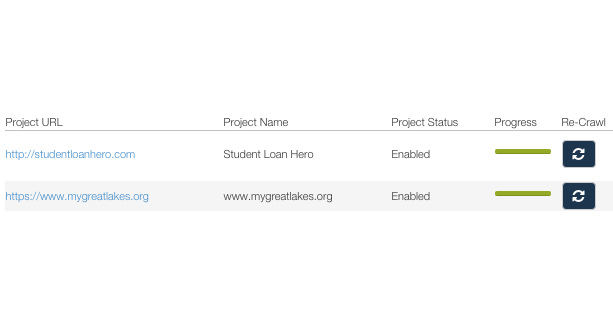 Sign up and create a test project for free see why we give you more analytical insight into your website data than anyone else. Validate your website content against the most important SEO factors. 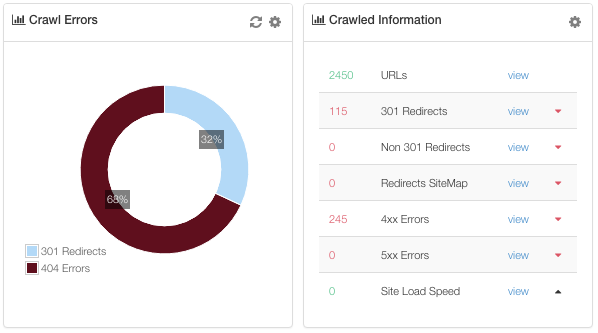 Our robust crawler infrastructure was designed to consume even the most complex of websites. Quickly analyze anywhere from hundreds to even millions of URLS with ease. CrawlMonster was designed to save you time and money by doing the heavy lifting for you. Created with SEO, SEM, digital marketers, and web developers in mind to make your job easier. CrawlMonster enables you to organize, track, and collaborate on all kinds of optimization SEO work by offering an expansive number of features. 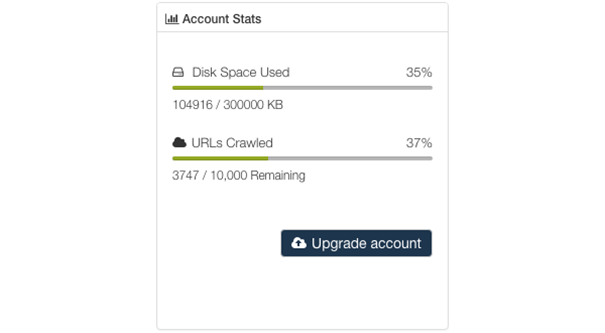 Maintain complete control over your crawl by setting up custom crawl schedules, crawler speed, user agent strings, and many other features. We give you easy to read organized data visuals to make your data anlysis easier and more efficient. Define custom extraction rules to crawl only the areas you want crawled and report only on what you need. Need to locate a specific page element such as a unique string of text or image file? Search the content of your entire site effortlessly using our advanced search. Built in uptime monitoring, know immediately if your website is experiencing connectivity issues so you can get back online as quickly as possible. Scan your website for common security issues and compliance concerns that may need corrected in order to keep your site safe and secure. Need something? Just drop us a note, we will get you the answer you need right away. 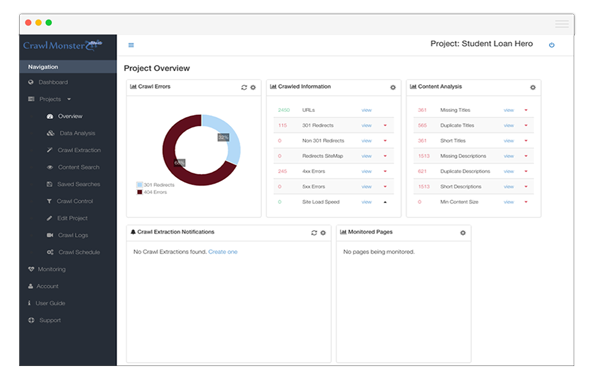 Manage and organize your projects easily using our custom dashboard that provides you a quick overview of the status of all your projects in one place. We give you more data than anyone. We scan your site for dozens of issues that no one else does. Find out what hidden problems your website may have that could be costing you valuable user traffic. Crawlmonster was developed by SEO professionals and is powered by the latest in AWS cloud technology to be reliable and secure. With CrawlMonster you can optimize with confidence. Located in the heart of Las Vegas, N.V.